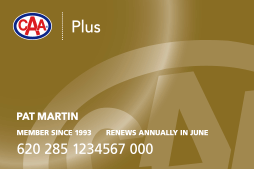 Upgrade to a Plus Membership and Save $15 If You Renew at the Same Time. For pennies a day you could unlock over $500 in potential additional value. See How Your Basic Membership Stacks up Against the Added Benefits of Plus. Up to four, 10 km tows. Vehicle Locksmith: Up to $50. Up to $300 (for accident only). Up to four, 200 km tows. Vehicle Locksmith: Up to $100. Merchandise: Additional 5% off Members Pricing. Up to $600 (for accident only). The upgraded towing distance alone could save you $120 on a 50 km tow. Plus, free passport photos and 5% off Member pricing on merchandise at CAA Stores means even more ways to save! 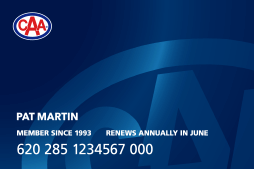 Call or visit a CAA Store today to upgrade your Membership and renew to save $15. Just quote promo code UP15. All amounts in Canadian Dollars (CAD). Offer valid from February 6 to April 31, 2019 using promotional code “UP15”. Member must upgrade and renew before the membership expires in order to receive the discount. Discount is only applicable to the primary membership fee. Once the membership has expired, the discount no longer applies. The $15 discount is applied before tax. Membership upgrades for remainder of current Membership year will be charged a pro-rated price. Excludes renewals of gift memberships purchased in previous years, and Associate memberships. The Terms and conditions of CAA Membership are available at www.caasco.com/membershipterms. When upgrading from Basic to Plus, a 24-hour wait period applies. Fuel delivery, locksmith, battery, bike assist and flat tire services each count as one of the Members’ allotted roadside calls during each membership year. Road Trip Accident Assistance and Road Trip Interruption Assistance are not insurance benefits but assistance services only. Assistance is applicable only to planned leisure trips 200 km or more from the Member’s primary residence, which include at least one overnight stay. Assistance is provided by World Travel Protection Canada Inc., an independent contractor. Certain restrictions and limitations may apply. Benefits and service provider are subject to change without notice. CAA recommends that Members purchase emergency travel and medical insurance when travelling outside the province for protection against the high cost of a medical emergency. Motorcycles with or without sidecar are covered under CAA Plus coverage. However, due to differences in service terms in the U.S.A., Members should expect to pay for service provided to motorcycles while travelling in the U.S.A. and may submit their original receipts to CAA for reimbursement.